Turkish short fiction has endured a metamorphosis to the longer fiction of Western literature. Although many short story writers eagerly embraced the Western approach to fiction writing, some refused to let go of their traditional short story writing style. In fact, some authors are more talented in short story writing than novel writing. Tomris Uyar is one writer who refused to venture away from short fiction. She never wrote a novel, but published 11 volumes of short stories - more than 900 pages in total - establishing a name for herself as a prominent author of short fiction. Uyar was born Rana Tomris Gedik on March 15, 1941 to one of Istanbul's upper-middle class families. Both her mother Celile and her father Ali Fuad practiced law. Her grandfather, Süleyman Sırrı Gedik, was a member of Parliament from the Republican People's Party (CHP). Uyar was educated in American schools until the 12th grade and this American schooling had some profound effects on her personality as a writer. She had access to modern, short fiction written in English, a privilege which is reflected in her compositions which display her adaptation to Western-style short fiction. Sait Faik had the most profound influence on Uyar; and ultimately she launched her career as a writer equipped with a strong grasp on Western and domestic modernism in fiction. Uyar graduated from the Istanbul School of Journalism in 1963 and published her first short story in 1965 under such pennames as R. Tomris and Rana Tomris. Then, in 1969, she married the famous poet Turgut Uyar in 1969 and the couple had a son named Hayri Turgut, who is now a professor in the computer engineering department of İstanbul Technical University. Interestingly enough, Uyar was formerly married to Ülkü Tamer, a poet of the "İkinci Yeni" (Second New) Movement, going on to live with Cemal Süreya, another famous poet of the movement, before finally marrying Uyar. Tomris Uyar worked as a translator after graduating university, until her death. She translated many works of avant-garde fiction from English into Turkish. She also gave comparative literature lectures for a short time at Bosporus University in Istanbul. Uyar is one of the founders of the Turkish Writers' Syndicate (TYS) but later resigned from the position. She was also a PEN Turkey member. Uyar is one of the most successful writers to apply the Chekhov writing style to Turkish short fiction. Like other prominent short fiction authors including Raymond Carver from the U.S., Katherine Mansfield from New Zealand and Sait Faik from her native Turkey, Uyar did not stray from writing about the daiy lives of ordinary people. 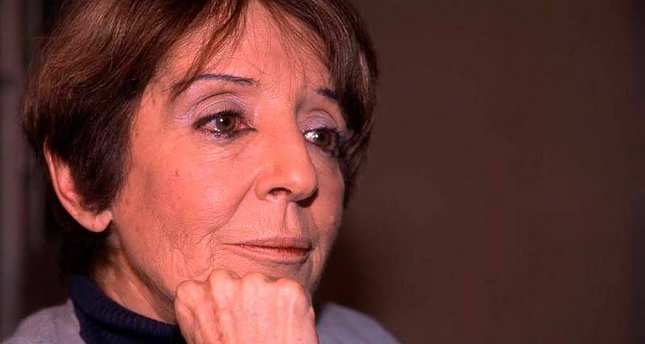 Her talent as an author is mainly attributable to the short stories published in her collection "Papirüs," coauthored with Ülkü Tamer and Cemal Süreya, but this is not the only reason for her success. She also became a widely known public figure due to swirling rumors regarding her private life. Uyar published her first volume of short stories, "İpek ve Bakır" (Silk and Copper), in 1971. According to the late critic Füsun Akatlı, the stories in this book do not include a flow of events, but rather reflect a point of view that focuses on the point where different situations collide. Uyar focuses on a certain theme in each of her stories. Her best efforts are reflected stylistically and, in fact, Uyar's writings reflect a very rich style despite the freewriting style of her master,Sait Faik. "İpek ve Bakır" was followed by "Ödeşmeler" (Paybacks, 1973) and "Dizboyu Papatyalar" (Knee-High Daisies, 1973). All three books reflect Uyar's apprenticeship to Sait Faik. Uyar shifted to a newer style in the second half of the 1970s, moving towards a more elaborate, text-centered and inter-textual style. This yielded several volumes of short stories, such as "Yürekte Bukağı" (Hobbled at the Heart, 1979), "Yaz Düşleri, Kış Düşleri" (Summer Dreams, Dream Winters, 1981) and "Gecegezen Kızlar" (Sleepwalking Girls, 1983). All three volumes carry elements of Latin American magical realism and Anglo-Saxon postmodernism in fiction. In particular, "Gecegezen Kızlar" is one of the first examples of postmodern fiction in Turkey. All of the short stories included in this book are magical realist variations of traditional fairy tales. The book is also narrated from a gender-specific point of view. Uyar was not a self-proclaimed feminist. She preferred, instead, to call herself a socialist. However, she always focused on female characters in her stories and her postmodern fiction has feminist aspects to it, as well. Meanwhile, Uyar published her personal journals, reminiscent of "A Room of her Own" by Virginia Woolf. In these journals, she speaks of the difficulties of being a married female writer in a Puritan, conformist, middle-class section of eastern society. Uyar did not complain; rather, she showed others how to fight against the difficulties faced in life. After completing her postmodern variations of traditional folktales, Uyar grew inclined to produce more rhetorical, personal and psychological fiction. Her later novels are the result of such style. The stories Uyar wrote in the 1990s were catered to the readers who had been following her in previous decades. I believe that Uyar is a humanistic and individualistic writer whose main goal was to shine a light on the individual in a simplistic manner devoid of criticism and drama. As a writer, she never puts blame on any of her characters. She understands them. Furthermore, Uyar never guides the reader to judge the situation and the attitudes of the characters she writes about. She finds shelter in the silence of minimalism, granting her readers the freedom to draw their own conclusions about what is happening in her stories. Initially, Uyar reveals her humanistic approach by applying sentimentalism and lyricism to her writing style and subjectivism to the point of view in her stories. Because her main objective was not to be sentimental or lyrical, she moved towards a more general style and point of view. Lyricism changed to magic realism, and sentimentalism was transformed into minimalism. Some of Uyar's stories have been translated into various languages - including English, German, French, Polish and Russian - and are featured in several international, short fiction anthologies. Uyar translated more than 60 pieces of fiction and nonfiction into Turkish during her career. She is the recepient of every prestigious short fiction prize ever awarded in Turkey. Tomris Uyar died of cancer on July 4, 2003, in Istanbul.